We are the inventors of Yard Gard products. Research was done following the guidelines of various universities and research institution studies. The results of this research are the formulas used in the evaluation tests. A variety of formulas were tested over several years. By thoroughly testing our products, we proved our products does repel animals most effectively. All testing was performed using the double-blind evaluation method. Lawns were labeled and treated generically as products labeled A1, B1, C1 ... etc. Formula test results were not revealed until after the studies were recorded and completed. 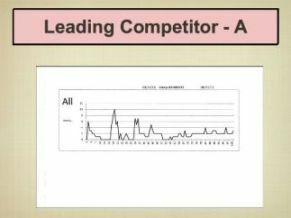 Animal activities were recorded for 100 days and after the studies were completed, the animal activity data was graphed for each site and compiled by each formula name or number. See Yard Gard's "Activity vs Time" graphs below. The results proved Yard Gard products effectively deterred digging and burrowing animals. The results proved Yard Gard products have the longest lasting effectiveness for deterred digging and burrowing animals. The resutls also proved Yard Gard out performed the leading competitors. We developed a patent pending, time-release method using our unique ingredient pellets, which keep the ingredients fresh for longer time period. Our ingredient time release method is why Yard Gard is the longest lasting product. Below are the results of our armadillo testing. Notice that it took approximately 10 - 12 days for the armadillos to leave. The ingredients need this time to move down into the soil to achieve the correct concentration to repel the animal. Also, there are often numerous armadillos involved and each animal involved has to smell and taste your treated lawn in order to be trained or conditioned to leave your treated lawn (This is Operant Conditioning). You may also find that later a stray, unconditioned armadillo will sometimes enter your lawn and sample the soil. Their actions renders the stray spikes on the graph. These strays animals will also become "operant conditioned" because they have now sampled your treated lawn. "Animal Activity" is read on the left side, vertical numbers. "Time/Days Lapsed" is read on the number of days on the bottom, horizonal numbers. 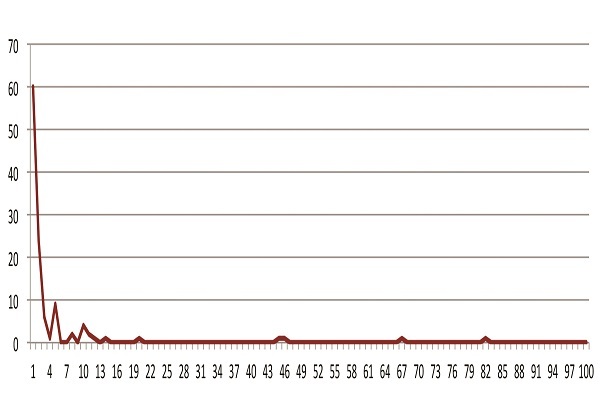 Example: At 10 Days Lapsed from product application, the animal Activity is zero (on the bottom horizonal scale). Below are the test results of two leading competitors, along with the results of Yard Gard's all natural mole repellent. 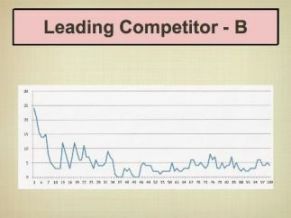 The larger graph below shows the results of the areas treated with Yard Gard's organic mole repellent. As you can see, the moles left those lawns and they stayed away for over 100 days. (Note: The Activity line reached zero activity after 12 days)! 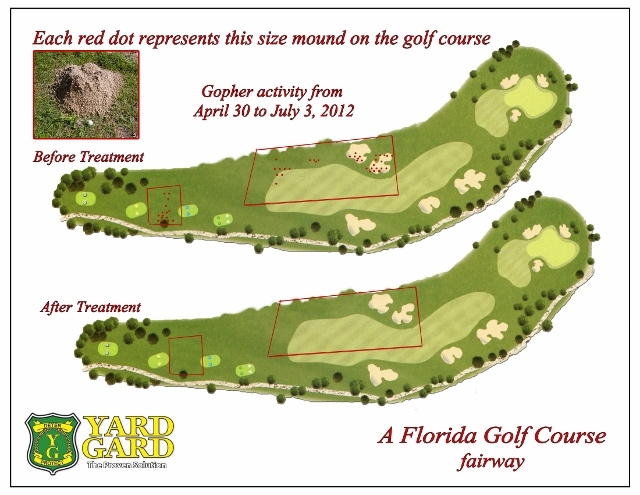 Yard Gard Multi-Animal repellent was tested on a golf course that was infested with the pesky gopher, they made 10 to 12 inch high gopher mounds of dirt in the middle of the fairways. We initially applied Yard Gard's all natural repellent only to the areas where the gopher mounds were present (See diagram below, each red dot represents a gopher mound). As the gophers moved from the treated areas, we expanded the treatement application area to include the areas in the 'Red Boxes' pictured below. As you can see the gophers were completely removed from the test area during the evaluation period and remained removed for several months. Our goal in research testing of our products, is to provide the consumer with an effective, safe and affordable product for repelling animals. Our product tests have been performed with complete integrity in order to aid you in determining which products on the market were effective in deterring animals and which products did not deter animals. We also wanted to confirm which of our formulas were the most useful in repelling ground burrowing animals. We have complete confidence in offering you our product with the guarantee that it will perform as described. We are also confident that you will find that Yard Gard will out preform the other products on the market. Some products may produce short term results but our product produces results that last for months. We don't just think our product works; we have objective test results that prove it works! We have published our test data below for your confidence that while our repellents are all natural, they actually perform as described. Removing animals like moles, armadillos, groundhogs, gophers, skunks, squirrels, chipmunks, voles, and other digging critters takes time, and depending on the animal type, it could take anywhere from a few days to a few weeks to train (condition) the animals to avoid the treated area. Below are statistical data graphs of our studies and we hope you find this information helpful.